Indulgent products that give your skin and body a bit of a pamper always go down well on the most romantic day of the year. Be it from their favourite brand, or a new product that you know they'd like to try, there's always a great selection on sale even if it's not tailored to Valentine's. To help de-stress after a long hard day, Tropic's Soothe the Senses Bath Soak* turns from an oil to a nourishing bath milk that releases gorgeous scents of frangipani, rose geranium, citrus and cedarwood into your bathroom. This aromatherapy edition is vegan and allows you to get that spa tranquillity and calmness in your own home to help relax your body and mind. This stuff really makes bath time more enjoyable and after a good soak, the macadamia oil and Vitamin E left my skin super soft without loads of residue left behind. This has become an essential in my bathroom now- I don't know what I did before bath milk! 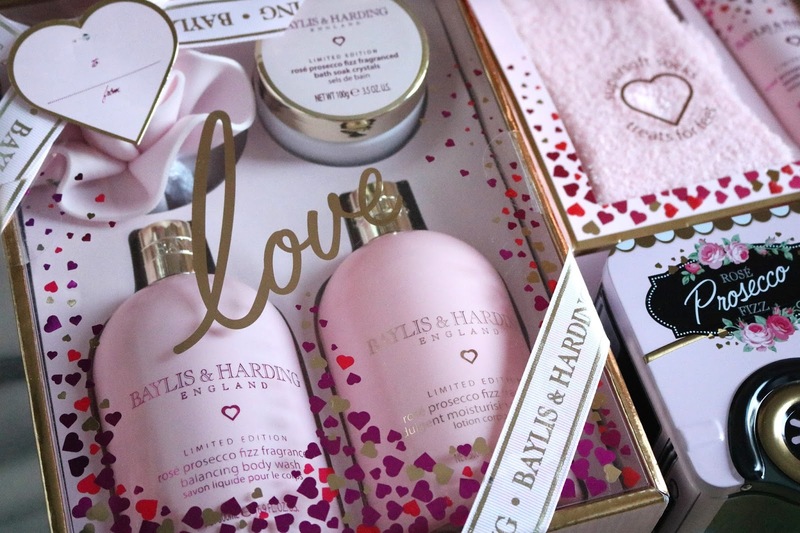 Baylis & Harding always do the best gift sets and this Valentine's they haven't disappointed! They have released their Pink Prosecco Fizz collection which includes some amazing sets to suit every budget. Plus all Baylis & Harding products are cruelty-free. If you're looking for a little gift for a friend or family member who likes to keep warm, then the Treats For Feet Sock set* is a great choice. You get a pair of super fluffy pink socks to snuggle on the sofa in and a reviving foot lotion to soothe tired feet. Slather this on and then pop on the socks so the lotion can sink into your feet and leave them soft and smooth. It comes in this gorgeous packaging and would be perfect for birthdays and Mother's Day as well as Valentine's Day. 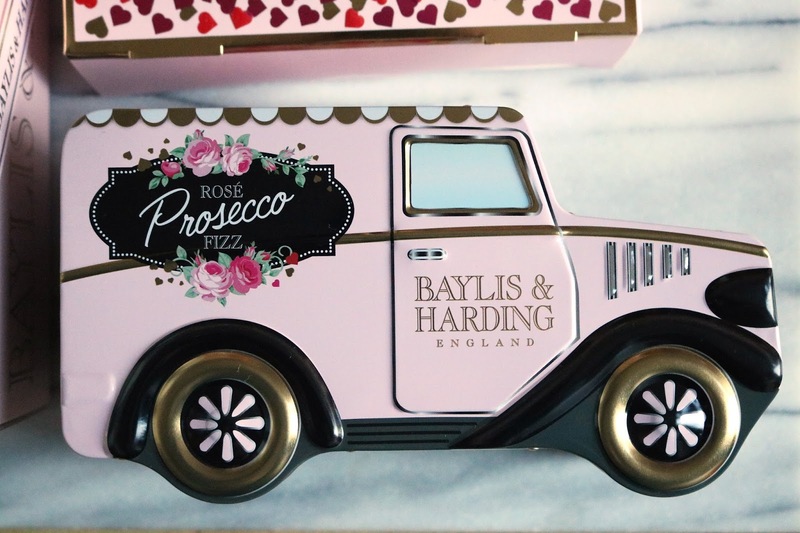 If you're looking for something that will make them smile, then the Prosecco Van* is a great choice. I think the tin is absolutely adorable, and I'll definitely be reusing this as a storage tin. Inside you get a body wash and polisher than cleanse the skin, and a hand and body lotion. All the smells are very subtle so no need to worry about whether the person you're gifting it to will like the fragrance or not. There may be someone that you really want to treat, and if that is the case then I give you the Body Treats Ultimate Indulgence set*. The value for money with this is amazing- you get a 500ml bottle shower creme and body lotion, 250g of bath soal crystals for those relaxing nights in and an intricate flower shaped body polisher. The packaging as always is stunning and really gives the wow factor. If you're a fan of Bioderma or know anyone who is, then maybe treat them to their favourite product. 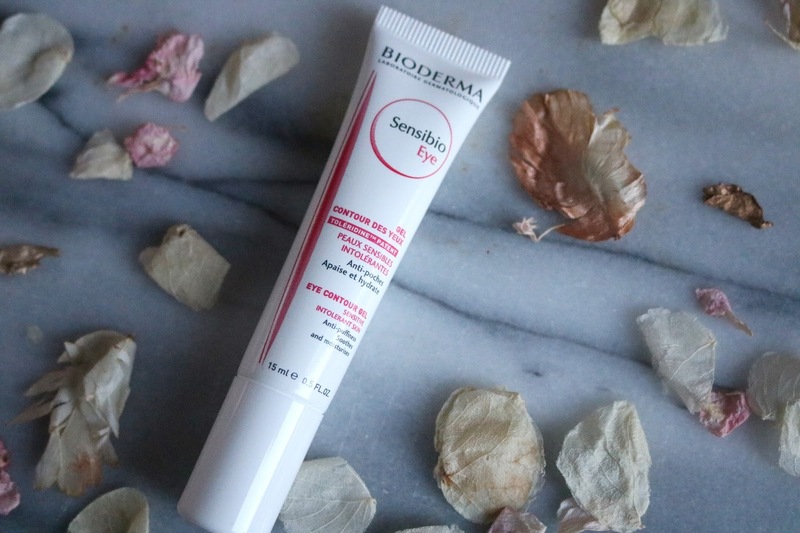 Mine at the moment is the Sensibio Eye Contour Gel* which, along with the eye cream featured in my last post, has been helping calm eczema around my eyes. I put this on just before my makeup as it works as a great eye primer while protecting the area from anything that might irritate it. It has also helped reduce the redness and puffiness caused by my recent flare-up, which means I can finally wear makeup again! 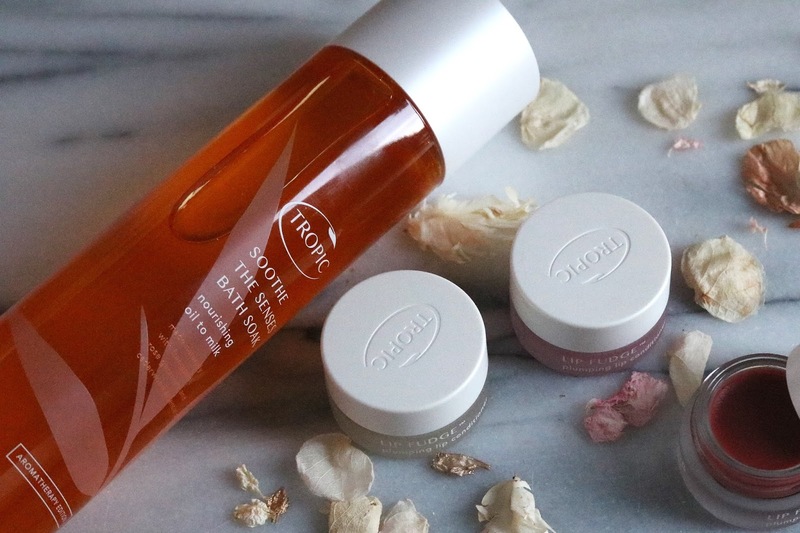 After looking after your skin, it's always nice to gift things that will make you look good cosmetically. The thing I enjoy most about getting ready to go out is taking the time with my hair and makeup, experimenting with new shades and formulas to see what works for me. That's why cosmetics and haircare go down so well on special occasions like Valentine's Day. 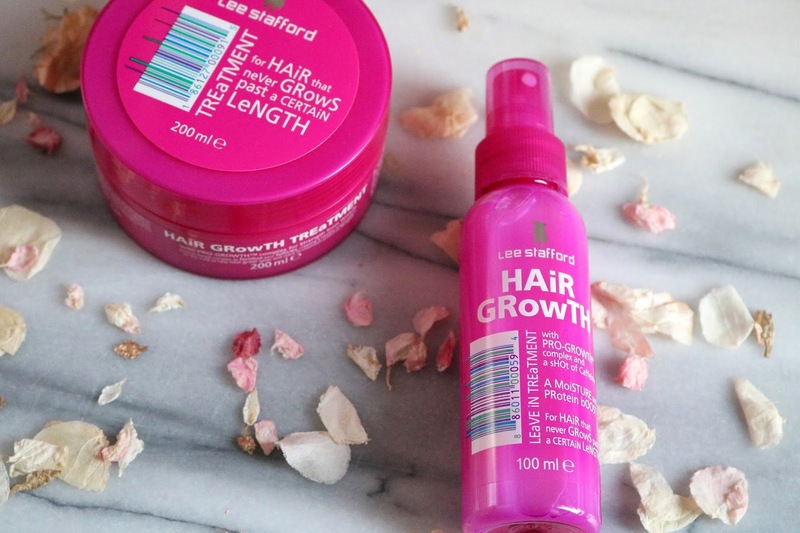 Let's start off with haircare: with the hot pink packaging that they are known and loved for, Lee Stafford always has such great products to try or to gift to someone. For instance, if you know someone who struggles to grow their hair, then the Hair Growth Treatment* and Leave In Spray* are worth a try. These are currently taking the haircare market by storm, with the Hair Growth Treatment now Lee Stafford's best selling product. The treatment smells gorgeous (more like body lotion than a hair mask) and contains a special protein that helps stimulate the hair cells to keep the hair growing. Just leave this in for 5 minutes in-between your shampoo and conditioner to see results, and it can be used every day, or once a week. The spray, which is a new product to the Hair Growth collection, is similar to the treatment but in spray form and is filled with caffeine to create circulation and strength around the hair follicles. The thing I love about this is that if you're not too fussed about the length of your hair but want to make it stronger, this also helps with that as well as giving it volume. I put this on before drying my hair and it left it feeling smooth but full of oomph around the roots. One of my favourite types of makeup to buy is lip products. I used to be notorious for spending money on lipsticks to build up a little collection of my own. I know a lot of people get a bit giddy over a new lipstick which is why it makes such a great gift for Valentine's! My faves over at Kat Von D sent over some of the new Studded Kiss Crème lipsticks* and I can say I would be rather chuffed if I received them as a present from a loved one. They either come in satin-matte or metallic finishes to suit every lipstick addict and the colours as always are super pigmented and fun. 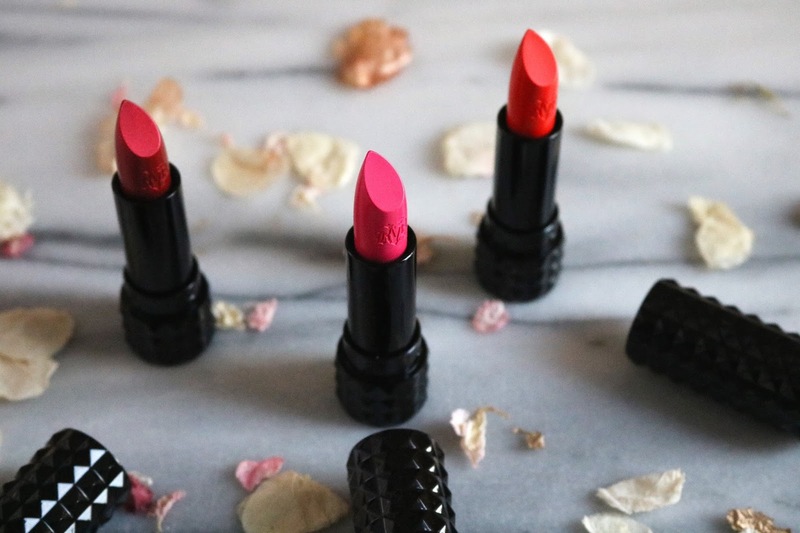 They're also vegan, and the packaging doesn't fail to impress with its studded sides and monogrammed lip bullet. For Valentine's Day themed colours, A-Go-Go is a fun coral-orange matte, Backstage Bambi is another matte but in a hot pink fuschia, and Adora is a classic red but with a metallic twist. 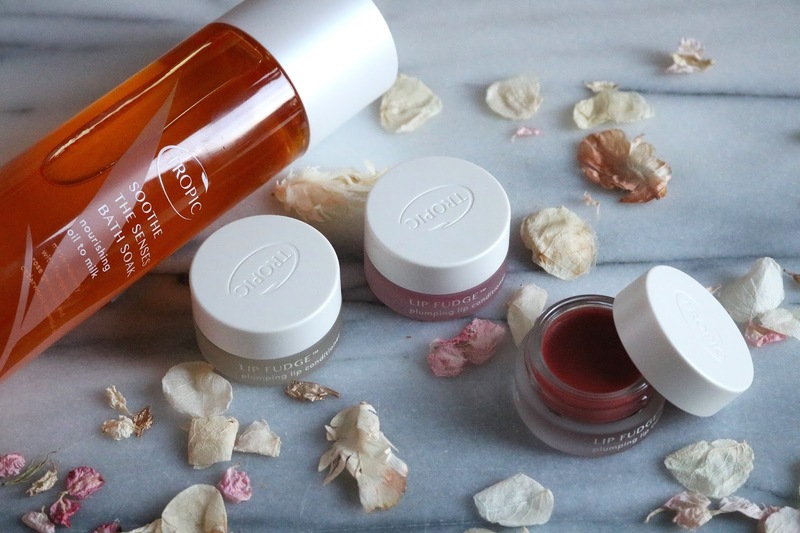 If the person you're buying for likes vegan lip colours that are a little more subtle, Tropic has brought a great collection of lip fudge conditioners that keep the lips plump and moisturised while giving them a sheer wash of colour. They are thick and luxurious to apply and don't feel sticky on the lips. These lip fudges contain 26 plant extracts to help keep those lips in tip-top condition for Valentine's and smell so good! They come in clear, pink guava and rosewood which you can either buy separately or in this great little set*. Chocolate is probably one of the classic Valentine's Day gift choices because most people adore the stuff. Walk into any supermarket and there is normally a whole aisle dedicated to themed chocolate! But if you want to give something a little more special, Hotel Chocolat is always my go-to. They make quality chocolates in delicious flavours and beautiful designs that are just as good to look at as they are to eat. They have over 100 products to choose from for Valentine's, but two that stood out to me was the Love Milk Chocolate Hearts* which have the most stunningly intricate hummingbird design on them, and the Blushing Hearts Filled chocolates* in vanilla, pecan and salted caramel. 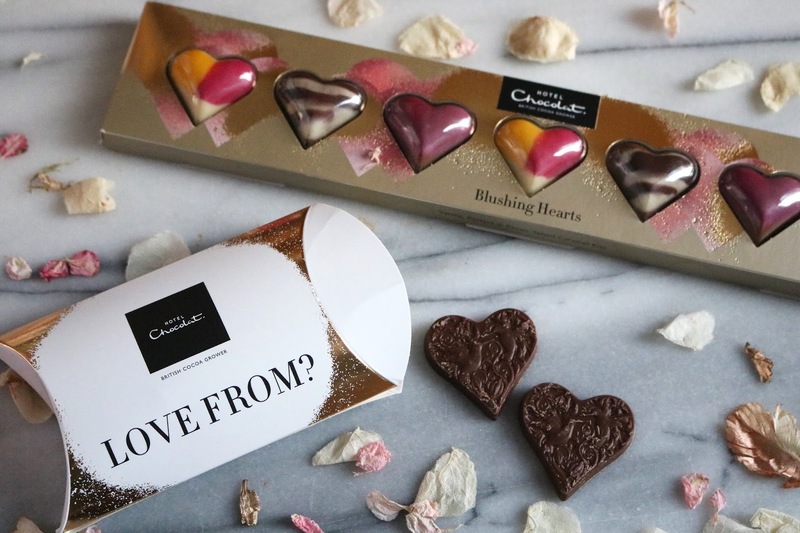 These are currently out of stock so if you want to check out what else Hotel Chocolat has to offer to take a look here. 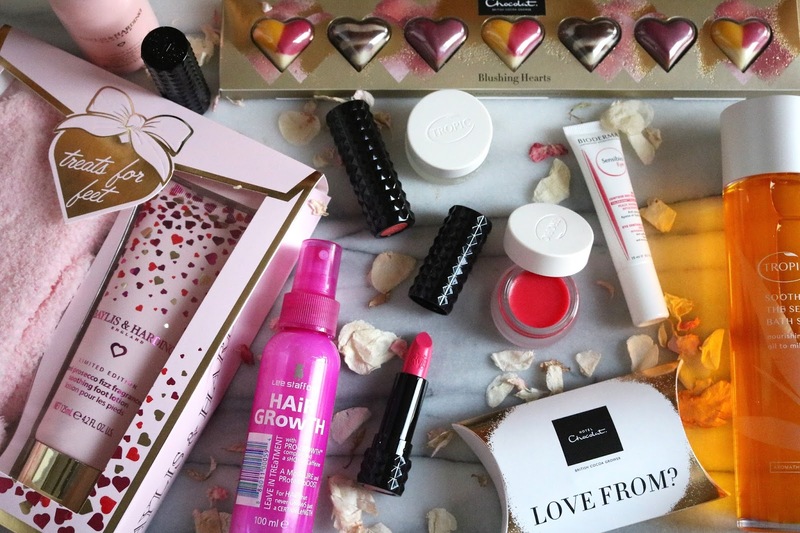 Are you gifting anything this Valentine's, or are you going to be treating yourself?